Why? Because we offer fast quotes for laser cutting! Speed is of the essence for ensuring a high win rate on quotes for the profile cutting industry. Providing fast quotes for laser cutting businesses shows that more often than not an order is awarded to the vendor that responds first to a quote request and not the one that offers the lowest price. Imagine the increase in throughput of daily quotes when you can have every customer executing their own quotes online 24/7. Apart from the obvious convenience that the service provides your relationship with your customer will strengthen and your quotes volume will skyrocket.Quotes for the a laser cutting contract business are the corner stone to a successful business. The more quotes per working hour you can generate the more actual orders you will bring into your work shop. Your win rate may also improve dramatically given the speed at which your quotes are delivered , not to mention the accuracy and reliable results. With CutQuote you achieve both speed and accuracy. 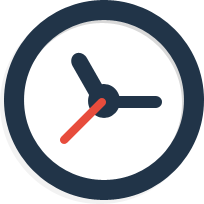 The average response time for a quote request from submitting to receiving is around 2 minutes. This is compounded with the fact that the actual work for generating the quote was done by your customer and the accuracy matches your own criteria specific to your business rules. So wait no longer and give yourself the advantage of fast quotes for laser cutting with CutQuote. © 2019 CutQuote. All rights reserved.